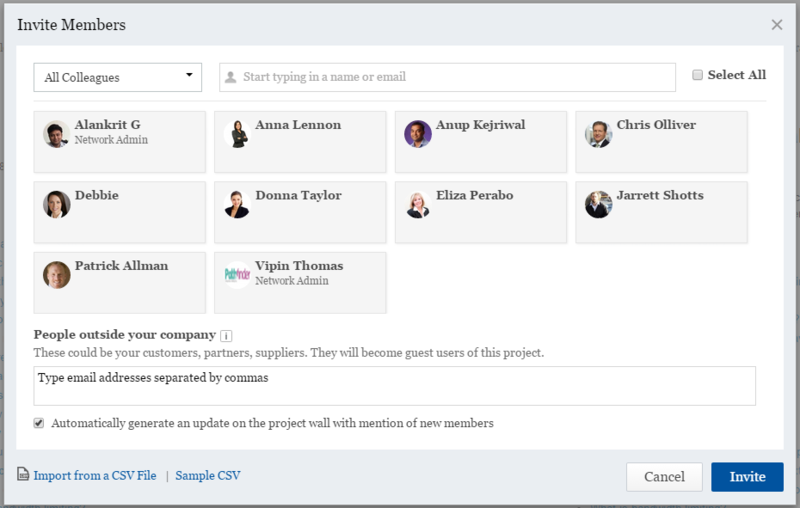 /Getting Started /Company Departments /Discussion Groups /Projects & Tasks /How Do I Bulk Invite People to Teams in Mangoapps? What are the other ways I can invite members? How do I notify existing members about new colleagues? Only admins, and individuals admins give permission to, can invite people in bulk to teams. Click on the Tools icon within your team. You’ll see an Invite Members option. The following popup will appear after clicking the Add Members option. Select individual users or check the select all box. Click the invite button when you are ready. 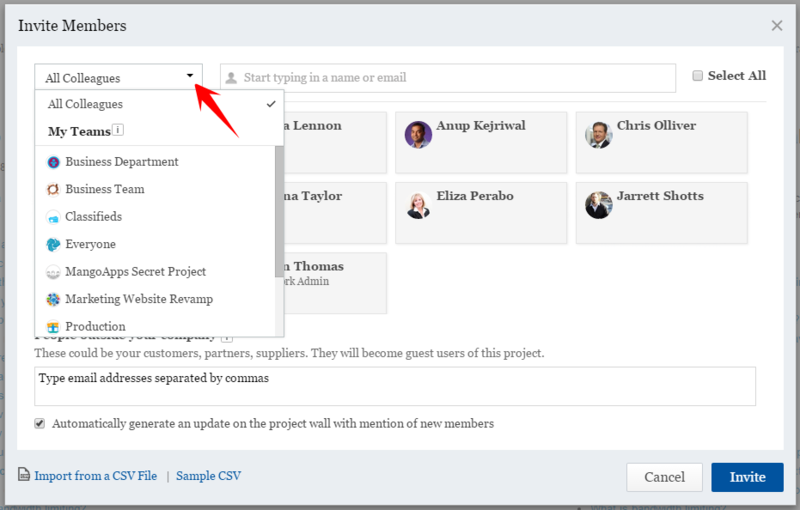 Yes, you can invite users from other teams by selecting “All Colleagues” from the drop-down box. You’ll see all of the teams you are a member of. Select a team and invite the members. Do not worry about the members who are already part of the team, they will not appear on the list and invitations will not be sent to them. You may also invite members using a CSV file. MangoApps will automatically import the emails and remove any duplicates, i.e. the members who are already part of the team. You can also type in the email ids of the members you want to invite. MangoApps will generate a feed in the team about the new colleague’s invitation.